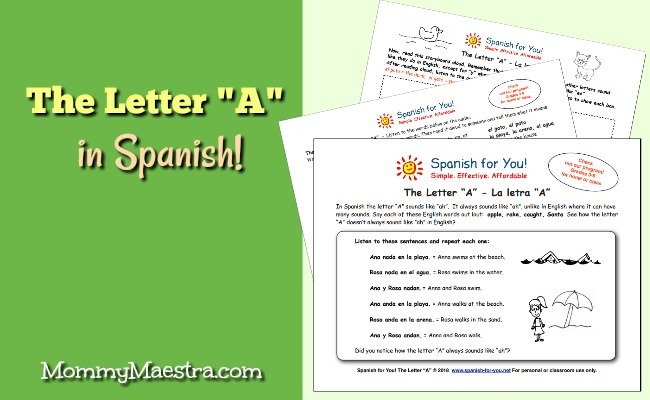 Mommy Maestra: Free Download: The Letter "A"
The awesome thing about Spanish is that (unlike English) all the vowels make only one sound no matter where they are located in a word. It makes learning the language - and spelling! - so much easier. MommyMaestra's sponsor, Spanish for You!, is kicking off the year with a fun mini-lesson on the letter "A."